After two cases of the deadly Middle East Respiratory Syndrome were confirmed in the US, one in Florida, the other in Indiana, and two others, both healthcare workers, are being monitored closely after showing flu-like symptoms, as well as at least 18 other healthcare workers who came in contact with a MERS patient being asked to stay home and not report to work for 14 days, now 22 airports in the US are on high alert with signs to be posted warning travelers of the dangers. The CDC instructed 22 airports to post the health advisory, warning people especially those traveling to and from the Middle East to watch for symptoms. 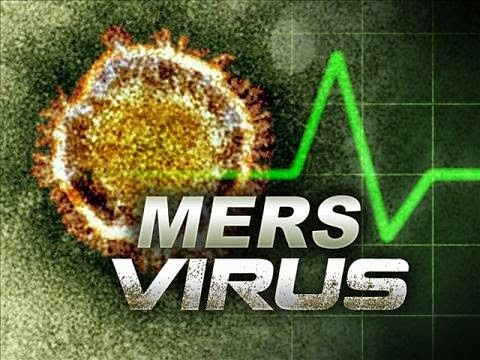 “Many people with MERS have developed severe respiratory illness where they have had high fevers, pneumonia, difficulty breathing and pain in their chest,” Washington Health Department spokeswoman Marisa D’Angeli said. According to reports the Center for Disease Control (CDC) is attempting to track down around 100 people who may have been at two hospitals at the same time as the infected patient. MERS has a 30 percent mortality rate.